But Hungary’s increasingly isolated position within the European Union is making it more and more difficult for such “bilateral discussions” to take place. According to Magyar Nemzet, Orbán, despite all attempts by Hungarian diplomatic channels, was not received by German Chancellor Angela Merkel for the 25th anniversary of a “Good Neighbor treaty” signed between the two countries in 1992. The prime ministers of Slovakia and Czech Republic, however, joined Merkel in Berlin last week for the 25th anniversaries of similar treaties signed between Germany and their countries; Hungary’s no-invite indicates an increasing unwillingness on the part of Europe’s de-facto leader to host Orbán for even a ceremonial visit. Additionally, a planned May 5 meeting in Berlin between Germany and the foreign ministers of the Visegrád 4 countries (Hungary, Poland, Czech Republic and Slovakia) has been cancelled, owing to difficulties encountered by the summit’s organizers to find common points to discuss. 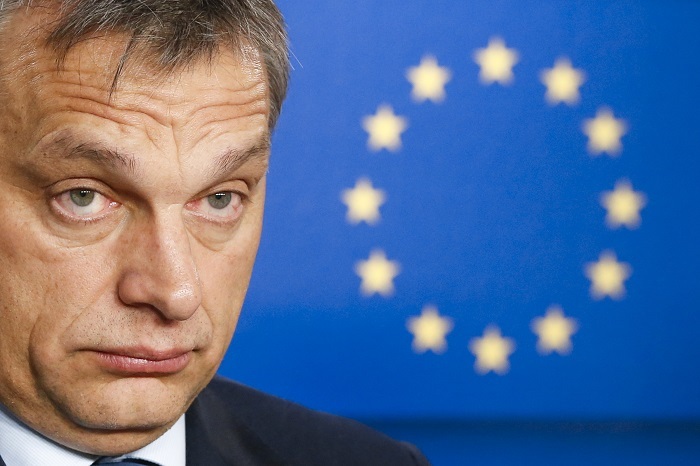 So chilly are political relations between Hungary and Germany that officials close to Orbán even reportedly lobbied German trade organizations to bring up economic issues to give them something to talk about at the summit. With the cancellation of the mini-summit, Hungary’s foreign minister Péter Szijjártó now has only those “multilateral forums” in which to have contact with German government officials. Szijjártó reportedly attempted to initiate bilateral talks four times with Germany’s foreign minister Frank-Walter Steinmeier at the end of 2016 and the first weeks of this year. Steinmeier, who became Germany’s president on February 12, declined all four requests, and Szijjártó’s relationship with Germany’s new foreign minister Sigmar Gabriel is reportedly no cozier. Szijjártó’s apparent willingness to sit down one-on-one with German officials comes as a stark contrast to attitudes toward Hungary in Berlin. According to a German source of Magyar Nemzet, perception of the Hungarian government in Berlin is so bad that German officials will not meet with their Hungarian counterparts unless absolutely necessary, which could partly explain the downtick in German investments in Hungary last year. As Magyar Nemzet explains, while German companies currently operating in Hungary positively assess their economic outlook in the country, and many intend to expand their operations in the near future, no new investments from Germany are coming in. With elections in Germany upcoming in May, diplomatic relations with Hungary show few signs of improving as former European Parliament President Martin Schulz looks poised to become Germany’s new foreign minister. Schulz has long been outspoken against the Fidesz government’s policies. Engel continued, saying that by now it is clear to everyone in the party that “Fidesz does not belong among us,” but it is very difficult to kick out a party which has already been let in.